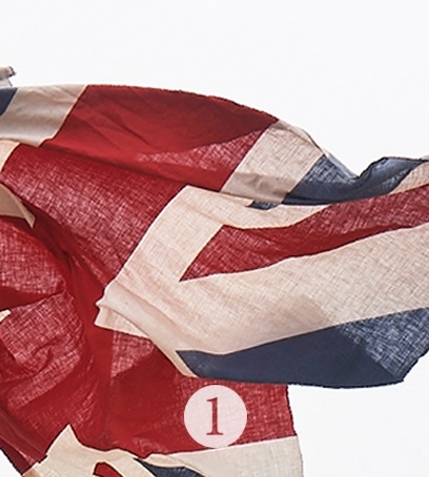 Each year we commit to a skin order from British farmers, all of which are a by-product of the UK farming industry, we are therefore proud to support UK farmers who would otherwise be charged to dispose of this material. These skins then make their way to the tannery, to be dyed to our specification. 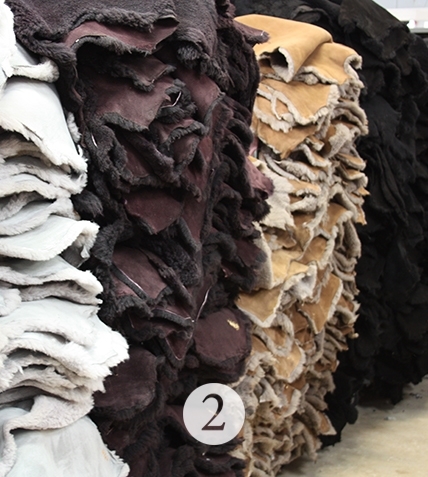 Back at the warehouse they're then graded by our extremely experienced in-house team, only the finest quality sheepskins are used in the production of our boots. Once the skins are selected, each panel is then hand cut and during this process our team are very conscious to use the material in the most efficient manner. 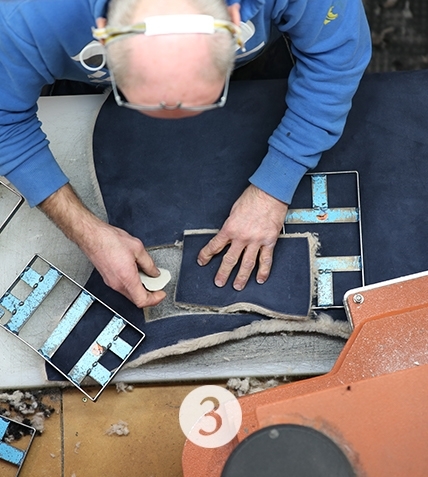 The boots are made of eight pieces which are then passed onto the sew room to be assembled. In the sew room our highly skilled team, who are all trained in-house, set to work crafting our beautiful sheepskin pieces into the highest quality footwear and accessories. 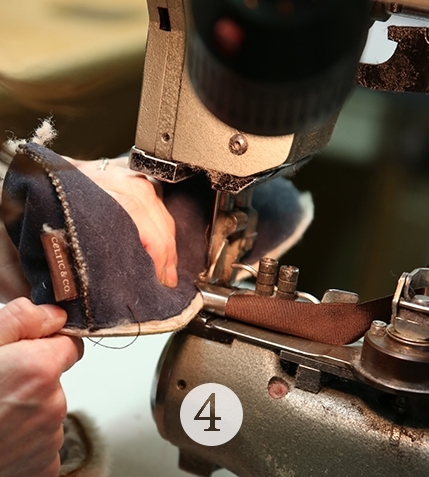 When your boots come back to us for the resole and repair service, the heels and soles are removed by hand and they then join the below process…. This is also the reason why they leave us feeling brand new! On to the prep room next, where sheets of rubber which have travelled from Italy are transformed into our signature soles. These soles are cut by a hydraulic press and then buffed to remove their shiny finish and maximise their hold to the boot. 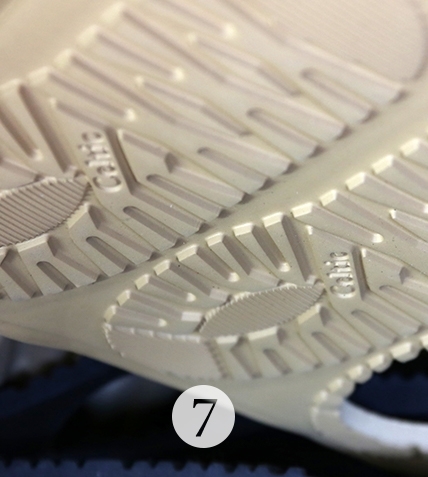 By hand, the sole is then covered in an extra strong glue and aligned by eye in the glue room, forming a finished boot! 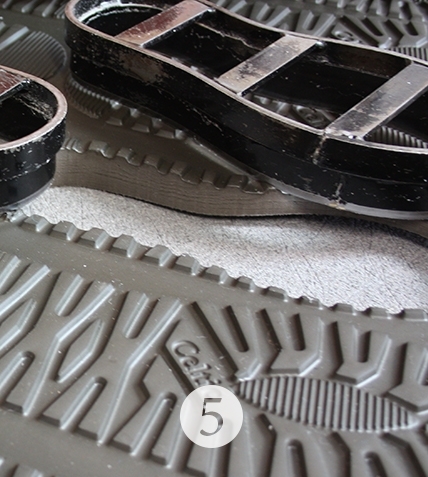 These are then brushed and buffed to remove any excess glue and smooth the edges of the sole. Last but certainly not least, the boots are passed to our very attentive checkers who will thoroughly inspect each and every pair before dispatch. This team will apply any finishing touches such as buckles, rivets and poppers always ensuring that the products are crafted to our exceptionally high standards. 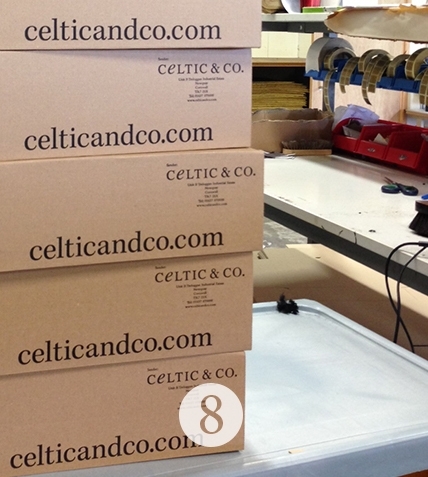 Finally the boots are boxed up, ready to make their way home to you. Whilst we’re aware that you’ve not yet basked in the summer sun and we’re already preparing you for wintery weather, with seasons coming around quickly there is no time like the present to get your sheepskin boots to us for a revamp. Get in touch... Let us know what you enjoy about our resole and repair service, we'd love to hear from you!